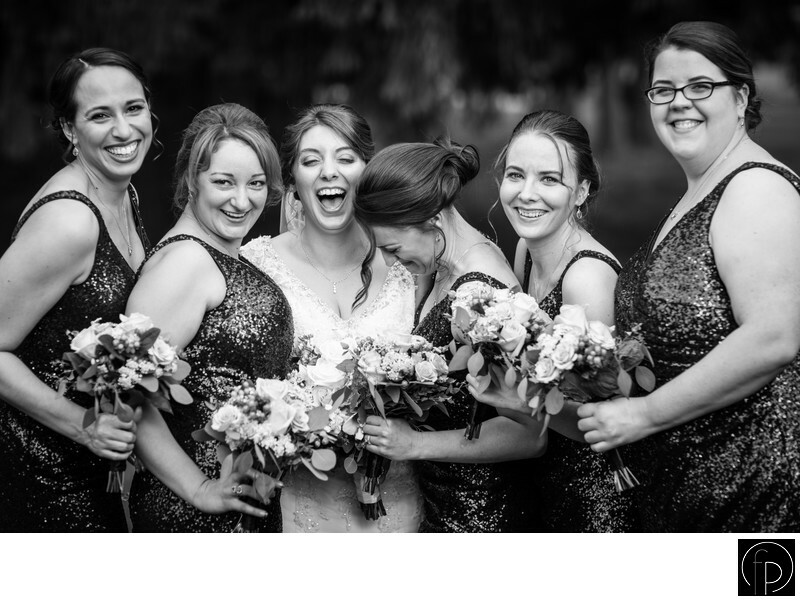 Our bride laughs with her bridesmaids during her Downingtown Country Club wedding. The light and love in this black and white photograph speak volumes. These women had a fun-filled day. Downingtown is located in Chester County, Pa. A historic county that offers a wide variety of locations for weddings today. From country clubs and catering facilities to gardens and state parks, it's a beautiful location for any big day.